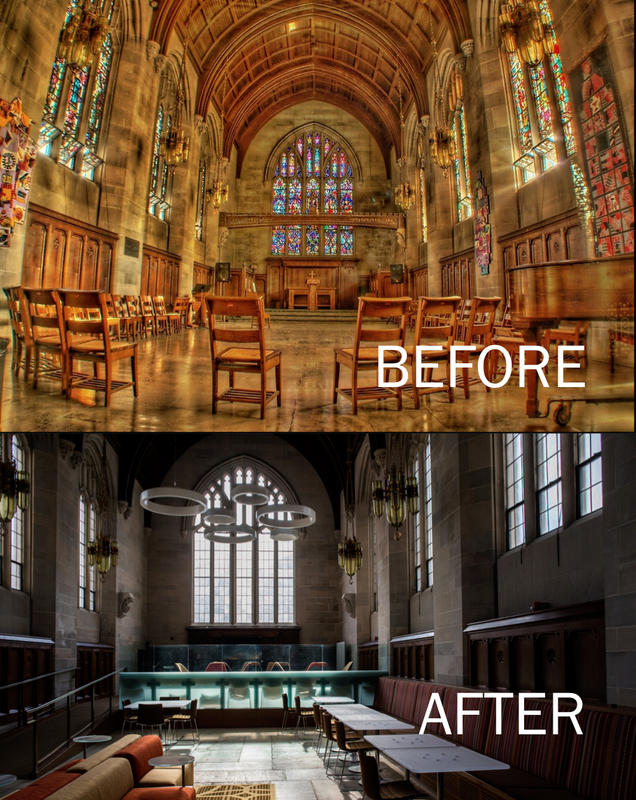 The lone weak spot involves the repurposing of the seminary's chapel, where stained glass windows that were deemed overtly Christian (and therefore, potentially offensive to non-Christians) were removed. The large chapel - once the site of religious services and now a comfortable, colorful gathering spot for grad students - is fine. But the small one, previously a dark meditative space where multicolored light filtered through stained glass, is now a chilly little conference room. Chilly? You decide. My guess is that most economics students at the University of Chicago would have been intelligent, and thick skinned enough, to fathom the history of their own institution.